Und ohne ihn bevor erst herzukommandieren. Und gab die Kreuzer hin, die er den Tag gewann. Den Gipfel, und der Schalk beginnt die Gaukelei. what is the current that presents a long line and a necessary waist. What is the wind, what is it. a pink is scarlet, a bow is every color. A line distinguishes it. A line just distinguishes it. Bill Hayes came to New York City with a one-way ticket, all of his belongings, and only the vaguest idea of how he would get by. But, at forty-eight years old, having spent decades in San Francisco, he wanted a change. Grieving over the recent death of his partner, Hayes discovered quickly that the city, however ruthless its reputation, can also be a profoundly consoling place. Within the city’s incessant rhythms, Hayes found companionship in unlikely sources—in the tree branches framed by his apartment window, in the sight of the Empire State and Chrysler buildings against the night sky, and in New Yorkers themselves, those strangers who, striving side by side, sometimes turn to face one another. 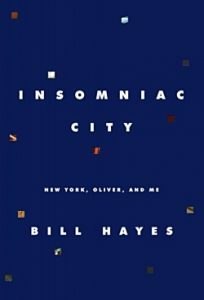 A lifelong insomniac, Hayes took to wandering the city at night with a camera, gazing up at skyscrapers, meandering through deserted parks, and having chance encounters with other sleepless city dwellers. And he fell in love again, against all expectations, with his friend and neighbor, Oliver Sacks. The stories in Insomniac City are drawn together by Hayes’ generosity of spirit, and by his photographs of urbanites that find beauty even in the ordinary. Bookended by two painful losses in Hayes’ life, this memoir is both a meditation on grief and a celebration of ongoing life. It’s also a love song to the city—not just to New York, but to all cities, and to all who have felt the particular magic and solace they offer. 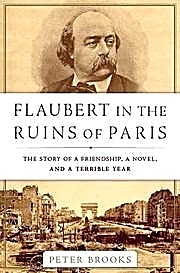 Brooks uses letters between Flaubert and his novelist friend and confidante George Sand to tell the story of Flaubert and his work, exploring his political commitments and his understanding of war, occupation, insurrection, and bloody political repression. Interweaving history, art history, and literary criticism—from Flaubert’s magnificent novel of historical despair, to the building of the reactionary monument the Sacré-Coeur on Paris’s highest summit, to the emergence of photography as historical witness—Brooks sheds new light on the pivotal moment when France redefined herself for the modern world. Peter Brooks is Sterling Professor Emeritus of Comparative Literature at Yale University. The author of several award-winning books, Brooks currently teaches at Princeton University and lives in Alexandria, Virginia. Basic Books is an imprint of Perseus Books, a Hachette Book Group company. In recording from time to time some of the curious experiences and interesting recollections which I associate with my long and intimate friendship with Mr. Sherlock Holmes, I have continually been faced by difficulties caused by his own aversion to publicity. To his sombre and cynical spirit all popular applause was always abhorrent, and nothing amused him more at the end of a successful case than to hand over the actual exposure to some orthodox official, and to listen with a mocking smile to the general chorus of misplaced congratulation. It was indeed this attitude upon the part of my friend and certainly not any lack of interesting material which has caused me of late years to lay very few of my records before the public. My participation in some of his adventures was always a privilege which entailed discretion and reticence upon me. Why not tell them of the Cornish horror—strangest case I have handled. I have no idea what backward sweep of memory had brought the matter fresh to his mind, or what freak had caused him to desire that I should recount it; but I hasten, before another cancelling telegram may arrive, to hunt out the notes which give me the exact details of the case and to lay the narrative before my readers. It was, then, in the spring of the year 1897 that Holmes’s iron constitution showed some symptoms of giving way in the face of constant hard work of a most exacting kind, aggravated, perhaps, by occasional indiscretions of his own. 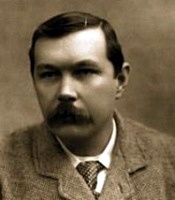 In March of that year Dr. Moore Agar, of Harley Street, whose dramatic introduction to Holmes I may some day recount, gave positive injunctions that the famous private agent lay aside all his cases and surrender himself to complete rest if he wished to avert an absolute breakdown. The state of his health was not a matter in which he himself took the faintest interest, for his mental detachment was absolute, but he was induced at last, on the threat of being permanently disqualified from work, to give himself a complete change of scene and air. Thus it was that in the early spring of that year we found ourselves together in a small cottage near Poldhu Bay, at the further extremity of the Cornish peninsula. It was a singular spot, and one peculiarly well suited to the grim humour of my patient. From the windows of our little whitewashed house, which stood high upon a grassy headland, we looked down upon the whole sinister semicircle of Mounts Bay, that old death trap of sailing vessels, with its fringe of black cliffs and surge-swept reefs on which innumerable seamen have met their end. With a northerly breeze it lies placid and sheltered, inviting the storm-tossed craft to tack into it for rest and protection. Then come the sudden swirl round of the wind, the blistering gale from the south-west, the dragging anchor, the lee shore, and the last battle in the creaming breakers. The wise mariner stands far out from that evil place. On the land side our surroundings were as sombre as on the sea. It was a country of rolling moors, lonely and dun-colored, with an occasional church tower to mark the site of some old-world village. In every direction upon these moors there were traces of some vanished race which had passed utterly away, and left as its sole record strange monuments of stone, irregular mounds which contained the burned ashes of the dead, and curious earthworks which hinted at prehistoric strife. The glamour and mystery of the place, with its sinister atmosphere of forgotten nations, appealed to the imagination of my friend, and he spent much of his time in long walks and solitary meditations upon the moor. The ancient Cornish language had also arrested his attention, and he had, I remember, conceived the idea that it was akin to the Chaldean, and had been largely derived from the Phoenician traders in tin. 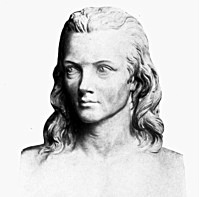 He had received a consignment of books upon philology and was settling down to develop this thesis when suddenly, to my sorrow and to his unfeigned delight, we found ourselves, even in that land of dreams, plunged into a problem at our very doors which was more intense, more engrossing, and infinitely more mysterious than any of those which had driven us from London. Our simple life and peaceful, healthy routine were violently interrupted, and we were precipitated into the midst of a series of events which caused the utmost excitement not only in Cornwall but throughout the whole west of England. Many of my readers may retain some recollection of what was called at the time “The Cornish Horror,” though a most imperfect account of the matter reached the London press. Now, after thirteen years, I will give the true details of this inconceivable affair to the public. I have said that scattered towers marked the villages which dotted this part of Cornwall. The nearest of these was the hamlet of Tredannick Wollas, where the cottages of a couple of hundred inhabitants clustered round an ancient, moss-grown church. The vicar of the parish, Mr. Roundhay, was something of an archaeologist, and as such Holmes had made his acquaintance. He was a middle-aged man, portly and affable, with a considerable fund of local lore. 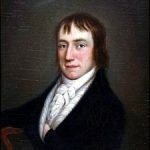 At his invitation we had taken tea at the vicarage and had come to know, also, Mr. Mortimer Tregennis, an independent gentleman, who increased the clergyman’s scanty resources by taking rooms in his large, straggling house. The vicar, being a bachelor, was glad to come to such an arrangement, though he had little in common with his lodger, who was a thin, dark, spectacled man, with a stoop which gave the impression of actual, physical deformity. I remember that during our short visit we found the vicar garrulous, but his lodger strangely reticent, a sad-faced, introspective man, sitting with averted eyes, brooding apparently upon his own affairs. These were the two men who entered abruptly into our little sitting-room on Tuesday, March the 16th, shortly after our breakfast hour, as we were smoking together, preparatory to our daily excursion upon the moors. I glared at the intrusive vicar with no very friendly eyes; but Holmes took his pipe from his lips and sat up in his chair like an old hound who hears the view-halloa. He waved his hand to the sofa, and our palpitating visitor with his agitated companion sat side by side upon it. Mr. Mortimer Tregennis was more self-contained than the clergyman, but the twitching of his thin hands and the brightness of his dark eyes showed that they shared a common emotion. “Shall I speak or you?” he asked of the vicar. “Well, as you seem to have made the discovery, whatever it may be, and the vicar to have had it second-hand, perhaps you had better do the speaking,” said Holmes. I glanced at the hastily clad clergyman, with the formally dressed lodger seated beside him, and was amused at the surprise which Holmes’s simple deduction had brought to their faces. I had hoped that in some way I could coax my companion back into the quiet which had been the object of our journey; but one glance at his intense face and contracted eyebrows told me how vain was now the expectation. He sat for some little time in silence, absorbed in the strange drama which had broken in upon our peace. The other had been silent all this time, but I had observed that his more controlled excitement was even greater than the obtrusive emotion of the clergyman. He sat with a pale, drawn face, his anxious gaze fixed upon Holmes, and his thin hands clasped convulsively together. His pale lips quivered as he listened to the dreadful experience which had befallen his family, and his dark eyes seemed to reflect something of the horror of the scene. Mortimer Tregennis considered earnestly for a moment. Our proceedings of that first morning did little to advance the investigation. It was marked, however, at the outset by an incident which left the most sinister impression upon my mind. The approach to the spot at which the tragedy occurred is down a narrow, winding, country lane. While we made our way along it we heard the rattle of a carriage coming towards us and stood aside to let it pass. As it drove by us I caught a glimpse through the closed window of a horribly contorted, grinning face glaring out at us. Those staring eyes and gnashing teeth flashed past us like a dreadful vision. We looked with horror after the black carriage, lumbering upon its way. Then we turned our steps towards this ill-omened house in which they had met their strange fate. It was a large and bright dwelling, rather a villa than a cottage, with a considerable garden which was already, in that Cornish air, well filled with spring flowers. Towards this garden the window of the sitting-room fronted, and from it, according to Mortimer Tregennis, must have come that thing of evil which had by sheer horror in a single instant blasted their minds. Holmes walked slowly and thoughtfully among the flower-plots and along the path before we entered the porch. So absorbed was he in his thoughts, I remember, that he stumbled over the watering-pot, upset its contents, and deluged both our feet and the garden path. Inside the house we were met by the elderly Cornish housekeeper, Mrs. Porter, who, with the aid of a young girl, looked after the wants of the family. She readily answered all Holmes’s questions. She had heard nothing in the night. Her employers had all been in excellent spirits lately, and she had never known them more cheerful and prosperous. She had fainted with horror upon entering the room in the morning and seeing that dreadful company round the table. She had, when she recovered, thrown open the window to let the morning air in, and had run down to the lane, whence she sent a farm-lad for the doctor. The lady was on her bed upstairs if we cared to see her. It took four strong men to get the brothers into the asylum carriage. She would not herself stay in the house another day and was starting that very afternoon to rejoin her family at St. Ives. We ascended the stairs and viewed the body. 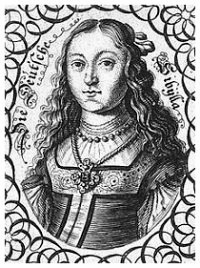 Miss Brenda Tregennis had been a very beautiful girl, though now verging upon middle age. Her dark, clear-cut face was handsome, even in death, but there still lingered upon it something of that convulsion of horror which had been her last human emotion. From her bedroom we descended to the sitting-room, where this strange tragedy had actually occurred. The charred ashes of the overnight fire lay in the grate. On the table were the four guttered and burned-out candles, with the cards scattered over its surface. The chairs had been moved back against the walls, but all else was as it had been the night before. Holmes paced with light, swift steps about the room; he sat in the various chairs, drawing them up and reconstructing their positions. He tested how much of the garden was visible; he examined the floor, the ceiling, and the fireplace; but never once did I see that sudden brightening of his eyes and tightening of his lips which would have told me that he saw some gleam of light in this utter darkness. Mortimer Tregennis explained that the night was cold and damp. For that reason, after his arrival, the fire was lit. “What are you going to do now, Mr. Holmes?” he asked. It was not until long after we were back in Poldhu Cottage that Holmes broke his complete and absorbed silence. He sat coiled in his armchair, his haggard and ascetic face hardly visible amid the blue swirl of his tobacco smoke, his black brows drawn down, his forehead contracted, his eyes vacant and far away. Finally he laid down his pipe and sprang to his feet. “It won’t do, Watson!” said he with a laugh. “Let us walk along the cliffs together and search for flint arrows. We are more likely to find them than clues to this problem. To let the brain work without sufficient material is like racing an engine. It racks itself to pieces. The sea air, sunshine, and patience, Watson—all else will come. “Now, let us calmly define our position, Watson,” he continued as we skirted the cliffs together. “Let us get a firm grip of the very little which we do know, so that when fresh facts arise we may be ready to fit them into their places. I take it, in the first place, that neither of us is prepared to admit diabolical intrusions into the affairs of men. Let us begin by ruling that entirely out of our minds. Very good. There remain three persons who have been grievously stricken by some conscious or unconscious human agency. That is firm ground. Now, when did this occur? Evidently, assuming his narrative to be true, it was immediately after Mr. Mortimer Tregennis had left the room. That is a very important point. The presumption is that it was within a few minutes afterwards. The cards still lay upon the table. It was already past their usual hour for bed. Yet they had not changed their position or pushed back their chairs. I repeat, then, that the occurrence was immediately after his departure, and not later than eleven o’clock last night. “Our next obvious step is to check, so far as we can, the movements of Mortimer Tregennis after he left the room. In this there is no difficulty, and they seem to be above suspicion. Knowing my methods as you do, you were, of course, conscious of the somewhat clumsy water-pot expedient by which I obtained a clearer impress of his foot than might otherwise have been possible. The wet, sandy path took it admirably. Last night was also wet, you will remember, and it was not difficult—having obtained a sample print—to pick out his track among others and to follow his movements. He appears to have walked away swiftly in the direction of the vicarage. “They are only too clear,” I answered with conviction. I may have commented upon my friend’s power of mental detachment, but never have I wondered at it more than upon that spring morning in Cornwall when for two hours he discoursed upon celts, arrowheads, and shards, as lightly as if no sinister mystery were waiting for his solution. It was not until we had returned in the afternoon to our cottage that we found a visitor awaiting us, who soon brought our minds back to the matter in hand. Neither of us needed to be told who that visitor was. The huge body, the craggy and deeply seamed face with the fierce eyes and hawk-like nose, the grizzled hair which nearly brushed our cottage ceiling, the beard—golden at the fringes and white near the lips, save for the nicotine stain from his perpetual cigar—all these were as well known in London as in Africa, and could only be associated with the tremendous personality of Dr. Leon Sterndale, the great lion-hunter and explorer. A shadow passed over the gaunt face of the explorer. With an effort Dr. Sterndale recovered his ruffled composure. “Then I have wasted my time and need not prolong my visit.” The famous doctor strode out of our cottage in considerable ill-humour, and within five minutes Holmes had followed him. I saw him no more until the evening, when he returned with a slow step and haggard face which assured me that he had made no great progress with his investigation. He glanced at a telegram which awaited him and threw it into the grate. Little did I think how soon the words of Holmes would be realized, or how strange and sinister would be that new development which opened up an entirely fresh line of investigation. I was shaving at my window in the morning when I heard the rattle of hoofs and, looking up, saw a dog-cart coming at a gallop down the road. It pulled up at our door, and our friend, the vicar, sprang from it and rushed up our garden path. Holmes was already dressed, and we hastened down to meet him. Our visitor was so excited that he could hardly articulate, but at last in gasps and bursts his tragic story came out of him. “We are devil-ridden, Mr. Holmes! My poor parish is devil-ridden!” he cried. “Satan himself is loose in it! We are given over into his hands!” He danced about in his agitation, a ludicrous object if it were not for his ashy face and startled eyes. Finally he shot out his terrible news. Holmes sprang to his feet, all energy in an instant. The lodger occupied two rooms at the vicarage, which were in an angle by themselves, the one above the other. Below was a large sitting-room; above, his bedroom. They looked out upon a croquet lawn which came up to the windows. We had arrived before the doctor or the police, so that everything was absolutely undisturbed. Let me describe exactly the scene as we saw it upon that misty March morning. It has left an impression which can never be effaced from my mind. The atmosphere of the room was of a horrible and depressing stuffiness. The servant who had first entered had thrown up the window, or it would have been even more intolerable. This might partly be due to the fact that a lamp stood flaring and smoking on the centre table. Beside it sat the dead man, leaning back in his chair, his thin beard projecting, his spectacles pushed up on to his forehead, and his lean dark face turned towards the window and twisted into the same distortion of terror which had marked the features of his dead sister. His limbs were convulsed and his fingers contorted as though he had died in a very paroxysm of fear. He was fully clothed, though there were signs that his dressing had been done in a hurry. We had already learned that his bed had been slept in, and that the tragic end had come to him in the early morning. One realized the red-hot energy which underlay Holmes’s phlegmatic exterior when one saw the sudden change which came over him from the moment that he entered the fatal apartment. In an instant he was tense and alert, his eyes shining, his face set, his limbs quivering with eager activity. He was out on the lawn, in through the window, round the room, and up into the bedroom, for all the world like a dashing foxhound drawing a cover. In the bedroom he made a rapid cast around and ended by throwing open the window, which appeared to give him some fresh cause for excitement, for he leaned out of it with loud ejaculations of interest and delight. Then he rushed down the stair, out through the open window, threw himself upon his face on the lawn, sprang up and into the room once more, all with the energy of the hunter who is at the very heels of his quarry. The lamp, which was an ordinary standard, he examined with minute care, making certain measurements upon its bowl. He carefully scrutinized with his lens the talc shield which covered the top of the chimney and scraped off some ashes which adhered to its upper surface, putting some of them into an envelope, which he placed in his pocketbook. Finally, just as the doctor and the official police put in an appearance, he beckoned to the vicar and we all three went out upon the lawn. It may be that the police resented the intrusion of an amateur, or that they imagined themselves to be upon some hopeful line of investigation; but it is certain that we heard nothing from them for the next two days. During this time Holmes spent some of his time smoking and dreaming in the cottage; but a greater portion in country walks which he undertook alone, returning after many hours without remark as to where he had been. One experiment served to show me the line of his investigation. He had bought a lamp which was the duplicate of the one which had burned in the room of Mortimer Tregennis on the morning of the tragedy. This he filled with the same oil as that used at the vicarage, and he carefully timed the period which it would take to be exhausted. Another experiment which he made was of a more unpleasant nature, and one which I am not likely ever to forget. “At least we may accept it as a working hypothesis. We will suppose, then, that something was burned in each case which produced an atmosphere causing strange toxic effects. Very good. In the first instance—that of the Tregennis family—this substance was placed in the fire. Now the window was shut, but the fire would naturally carry fumes to some extent up the chimney. Hence one would expect the effects of the poison to be less than in the second case, where there was less escape for the vapour. The result seems to indicate that it was so, since in the first case only the woman, who had presumably the more sensitive organism, was killed, the others exhibiting that temporary or permanent lunacy which is evidently the first effect of the drug. In the second case the result was complete. The facts, therefore, seem to bear out the theory of a poison which worked by combustion. They were not long in coming. I had hardly settled in my chair before I was conscious of a thick, musky odour, subtle and nauseous. At the very first whiff of it my brain and my imagination were beyond all control. A thick, black cloud swirled before my eyes, and my mind told me that in this cloud, unseen as yet, but about to spring out upon my appalled senses, lurked all that was vaguely horrible, all that was monstrous and inconceivably wicked in the universe. Vague shapes swirled and swam amid the dark cloud-bank, each a menace and a warning of something coming, the advent of some unspeakable dweller upon the threshold, whose very shadow would blast my soul. A freezing horror took possession of me. I felt that my hair was rising, that my eyes were protruding, that my mouth was opened, and my tongue like leather. The turmoil within my brain was such that something must surely snap. I tried to scream and was vaguely aware of some hoarse croak which was my own voice, but distant and detached from myself. At the same moment, in some effort of escape, I broke through that cloud of despair and had a glimpse of Holmes’s face, white, rigid, and drawn with horror—the very look which I had seen upon the features of the dead. It was that vision which gave me an instant of sanity and of strength. I dashed from my chair, threw my arms round Holmes, and together we lurched through the door, and an instant afterwards had thrown ourselves down upon the grass plot and were lying side by side, conscious only of the glorious sunshine which was bursting its way through the hellish cloud of terror which had girt us in. Slowly it rose from our souls like the mists from a landscape until peace and reason had returned, and we were sitting upon the grass, wiping our clammy foreheads, and looking with apprehension at each other to mark the last traces of that terrific experience which we had undergone. I had heard the click of the garden gate, and now the majestic figure of the great African explorer appeared upon the path. He turned in some surprise towards the rustic arbour in which we sat. The explorer took his cigar from his lips and gazed sternly at my companion. “The killing of Mortimer Tregennis,” said Holmes. For a moment I wished that I were armed. Sterndale’s fierce face turned to a dusky red, his eyes glared, and the knotted, passionate veins started out in his forehead, while he sprang forward with clenched hands towards my companion. Then he stopped, and with a violent effort he resumed a cold, rigid calmness, which was, perhaps, more suggestive of danger than his hot-headed outburst. Sterndale sat down with a gasp, overawed for, perhaps, the first time in his adventurous life. There was a calm assurance of power in Holmes’s manner which could not be withstood. Our visitor stammered for a moment, his great hands opening and shutting in his agitation. Sterndale gave a violent start and looked at Holmes in amazement. Sterndale sprang to his feet. “I believe that you are the devil himself!” he cried. Our visitor’s face had turned ashen gray as he listened to the words of his accuser. Now he sat for some time in thought with his face sunk in his hands. Then with a sudden impulsive gesture he plucked a photograph from his breast-pocket and threw it on the rustic table before us. “That is why I have done it,” said he. It showed the bust and face of a very beautiful woman. Holmes stooped over it. “It is no reflection upon your professional knowledge,” said he, “for I believe that, save for one sample in a laboratory at Buda, there is no other specimen in Europe. It has not yet found its way either into the pharmacopoeia or into the literature of toxicology. The root is shaped like a foot, half human, half goatlike; hence the fanciful name given by a botanical missionary. It is used as an ordeal poison by the medicine-men in certain districts of West Africa and is kept as a secret among them. This particular specimen I obtained under very extraordinary circumstances in the Ubangi country.” He opened the paper as he spoke and disclosed a heap of reddish-brown, snuff-like powder. “Well, sir?” asked Holmes sternly. “I am about to tell you, Mr. Holmes, all that actually occurred, for you already know so much that it is clearly to my interest that you should know all. I have already explained the relationship in which I stood to the Tregennis family. For the sake of the sister I was friendly with the brothers. There was a family quarrel about money which estranged this man Mortimer, but it was supposed to be made up, and I afterwards met him as I did the others. He was a sly, subtle, scheming man, and several things arose which gave me a suspicion of him, but I had no cause for any positive quarrel. “One day, only a couple of weeks ago, he came down to my cottage and I showed him some of my African curiosities. Among other things I exhibited this powder, and I told him of its strange properties, how it stimulates those brain centres which control the emotion of fear, and how either madness or death is the fate of the unhappy native who is subjected to the ordeal by the priest of his tribe. I told him also how powerless European science would be to detect it. How he took it I cannot say, for I never left the room, but there is no doubt that it was then, while I was opening cabinets and stooping to boxes, that he managed to abstract some of the devil’s-foot root. I well remember how he plied me with questions as to the amount and the time that was needed for its effect, but I little dreamed that he could have a personal reason for asking. “I thought no more of the matter until the vicar’s telegram reached me at Plymouth. This villain had thought that I would be at sea before the news could reach me, and that I should be lost for years in Africa. But I returned at once. Of course, I could not listen to the details without feeling assured that my poison had been used. I came round to see you on the chance that some other explanation had suggested itself to you. But there could be none. I was convinced that Mortimer Tregennis was the murderer; that for the sake of money, and with the idea, perhaps, that if the other members of his family were all insane he would be the sole guardian of their joint property, he had used the devil’s-foot powder upon them, driven two of them out of their senses, and killed his sister Brenda, the one human being whom I have ever loved or who has ever loved me. There was his crime; what was to be his punishment? “Should I appeal to the law? Where were my proofs? I knew that the facts were true, but could I help to make a jury of countrymen believe so fantastic a story? I might or I might not. But I could not afford to fail. My soul cried out for revenge. I have said to you once before, Mr. Holmes, that I have spent much of my life outside the law, and that I have come at last to be a law to myself. So it was even now. I determined that the fate which he had given to others should be shared by himself. Either that or I would do justice upon him with my own hand. In all England there can be no man who sets less value upon his own life than I do at the present moment. Holmes sat for some little time in silence. “What were your plans?” he asked at last. Dr. Sterndale raised his giant figure, bowed gravely, and walked from the arbour. Holmes lit his pipe and handed me his pouch. What is the price of poetry? An examination of how the deaths of great poets have shaped our culture’s distorted sense of poetry. 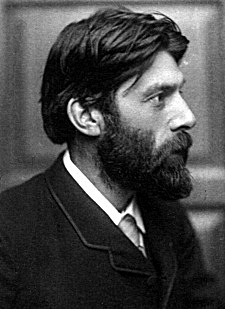 From Chatterton’s Pre-Raphaelite demise to Keats’ death warrant in a smudge of arterial blood; from Dylan Thomas’s eighteen straight whiskies to Sylvia Plath’s desperate suicide in the gas oven of her Primrose Hill kitchen or John Berryman’s leap from a bridge onto the frozen Mississippi, the deaths of poets have often cast a backward shadow on their work. The post-Romantic myth of the dissolute drunken poet – exemplified by Thomas and made iconic by his death in New York – has fatally skewed the image of poets in our culture. Novelists can be stable, savvy, politically adept and in control, but poets should be melancholic, doomed and self-destructive. 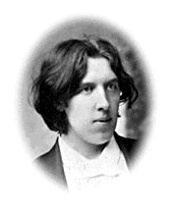 Is this just a myth, or is there some essential truth behind it: that great poems only come when a poet’s life is pushed right to an emotional knife-edge of acceptability, safety, security? What is the price of poetry? 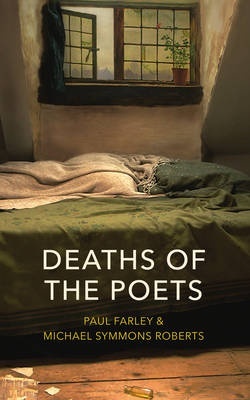 In this book, two contemporary poets undertake a series of journeys – across Britain, America and Europe – to the death places of poets of the past, in part as pilgrims, honouring inspirational writers, but also as investigators, interrogating the myth. The result is a book that is, in turn, enlightening and provocative, eye-wateringly funny and powerfully moving. Michael Symmons Roberts‘s sixth collection of poetry, Drysalter, was the winner of both the Forward Prize and the Costa Poetry Prize in 2013. He has published two novels, and is Professor of Poetry at Manchester Metropolitan University. Paul Farley is the author of four collections of poetry and has won the Forward Prize for Best First Collection, the Whitbread Poetry Award and the E. M. Forster Award. Edgelands, co-written with Michael Symmons Roberts, received the Royal Society of Literature’s Jerwood Award and the 2011 Foyles Best Book of Ideas Award and was serialised as Radio 4 Book of the Week. ohn der Sonnen klahres Liecht? wenn da Stern und Mond gebricht? wenn sein Schiff begündt zu krachen? und durch ihre Freundschafft führet. mehr nicht, als er sonsten tuht? auch nicht einen frischen Muht? wenn ihr Liecht mir wird gegeben. alß nur Arm in Arm zu schrenken. und mir meinen Geist verneuen. ich wil bald mein Fretow schauen. 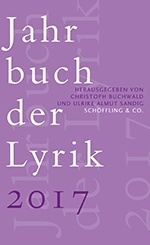 Seit 1979 gibt das »Jahrbuch der Lyrik« Einblick in neueste Entwicklungen der Poesie in Deutschland, Österreich und der Schweiz; ab diesem Jahr erscheint es jährlich bei Schöffling & Co. Für die 31. Ausgabe konnte Christoph Buchwald die vielfach ausgezeichnete Lyrikerin Ulrike Almut Sandig als Mitherausgeberin gewinnen. Gemeinsam haben sie die besten zeitgenössischen Gedichte ausgesucht und in thematischen Kapiteln zusammengestellt. In welchem Maße ist die Gegenwartslyrik Echo und Spiegel unserer Zeit? Wie tief sitzt das Misstrauen gegen politische Ideologien und Rezepte? Offensichtlich ist: Die Sicht auf Geschichte und Gesellschaft ist nur mit subjektiver Herangehensweise glaubwürdig zu artikulieren, der persönliche Blick verweist auf das große Ganze. Erstmals wurden auch Bildgedichte in die Auswahl aufgenommen; zusammen mit dem Kapitel »Dichter übersetzen Dichter« gehen diese über Sprach- und Genregrenzen hinaus. Christoph Buchwald, 1951 in Tübingen geboren, ist seit 1979 ständiger Herausgeber des Jahrbuchs der Lyrik. Nach seinem Studium der Kunstgeschichte, Literaturwissenschaft und experimentellen Komposition hat er als Lektor und Verleger zahlreiche Lyriker begleitet. 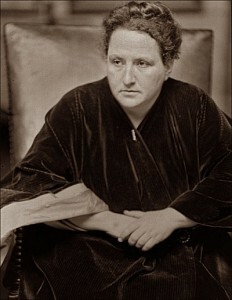 Seit 2002 leitet er gemeinsam mit seiner Frau den literarischen Verlag Cossee in Amsterdam und übersetzt Gedichte aus dem Niederländischen. Ulrike Almut Sandig, 1979 in Großenhain geboren, wuchs in einem Pfarrhaushalt in Sachsen auf. Ihre Gedichte wurden vielfach verfilmt und ausgezeichnet, u. a mit dem Leonce-und-Lena-Preis 2009. Für ihre Sprechkonzerte und Hörstücke arbeitet sie eng mit Musikerinnen und Komponisten zusammen. Neben vier Gedichtbänden erschienen bisher zwei Hörbücher, die Erzählungen Flamingos (2010) und Buch gegen das Verschwinden (2015) sowie zahlreiche Hörspiele. Sie lebt mit ihrer Familie in Berlin. Herta Müller, in: Jahrbuch der Lyrik 2017, hg. von Christoph Buchwald und Ulrike Almut Sandig, Schöffling & Co. 2017, S. 77. Building a tower above the head of woe. And claim his tears for homage of his peace. Monique & Hans Hagen zijn de nieuwe kinderboekenambassadeurs van Nederland. Zij volgen Jan Paul Schutten op, die het ambassadeurschap de afgelopen twee jaar vervulde. De kinderboekenambassadeur geeft een herkenbaar gezicht aan de promotie van kinder- en jeugdboeken. Het schrijversechtpaar is tijdens Lezen Centraal, het jaarlijkse congres van Stichting Lezen, officieel benoemd tot Kinderboekenambassadeur. Het is voor het eerst dat het ambassadeurschap door twee personen wordt ingevuld, een echtpaar dat samen boeken schrijft. 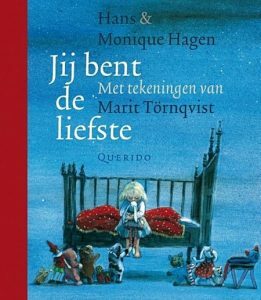 Van boeken word je gelukkig, ze helpen je om verder te komen in het leven – dat is de boodschap die Monique & Hans Hagen willen uitdragen. Als dichters vragen ze extra aandacht voor poëzie. willen als ambassadeur veel kinderen bereiken. Om hun boodschap te verspreiden willen zij zoveel mogelijk ouders, leerkrachten, pabo-studenten en professionals in het boekenvak betrekken bij hun werk. Monique & Hans Hagen gaan lezingen en workshops verzorgen, de media opzoeken om hun boodschap kracht bij te zetten, nieuwkomers in Nederland in AZC’s bezoeken, en nieuws delen via de Kinderboekenambassadeur-Facebookpagina en -website. De functie van Kinderboekenambassadeur is geïnspireerd op het Britse Childrens’s Laureate, en bestaat in meer dan tien landen. De Nederlandse Kinderboekenambassadeurs worden telkens voor twee jaar aangesteld door Stichting Lezen en het Nederlands Letterenfonds in samenwerking met Stichting Schrijvers School Samenleving en Stichting CPNB. Lees poëzie-tief, elke dag een gedicht, kort maar krachtig. Er is voor iedereen een passend boek te vinden. Blijf voorlezen, ook al hebben kinderen zelf al leren lezen.